This Business Card Holder Features an 8-1/2" x 11" Sign Holder To Create An Attractive Presentation For Your Business Card! Order Before From BusinessCardHolders2Go.com By 1pm EST for Same Day Shipment! 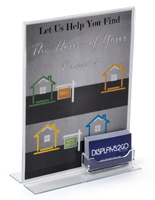 This business card holder can keep calling cards and promotional products on display and more easily accessible. 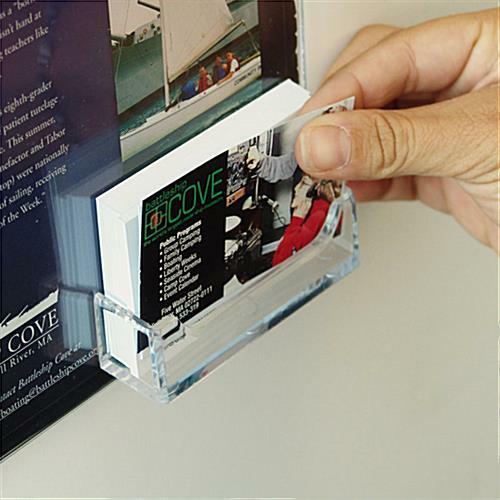 This business card holder and other office products combine an acrylic card pocket with a sign frame to increase the overall impact of your promotional materials. 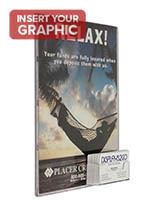 The acrylic fold-over style sign holder is designed to hold standard-sized 8-1/2"w x 11"h graphics, making it easy to display a customized message straight from your desk top printer. 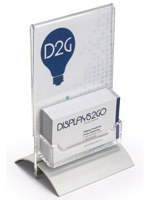 A business card holder with attached sign holder is a great way to promote your service, an event, or even a product. This business card holder, also known as a calling card display, can hold up to 60 standard sized (3-1/2"w x 2"h) business cards. 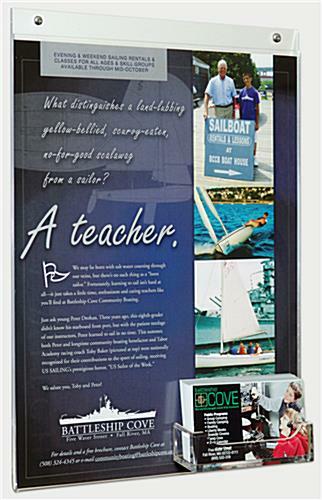 Combine this with the incorporated sign holder and this display is an advertising powerhouse! This business card holder is designed for indoor use. While this is a durable promotional display the business card pocket is open faced and does not protect your cards from the elements like some of our other models. This business card holder includes both screws and double sided tape for your choice of mounting options. 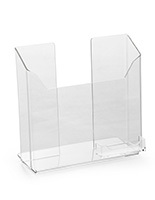 A business card holder, like this calling card display and business card dispenser is great for communicating with customers! 8.3" x 14.5" x 1.3"
3.6" x 0.75" x 0.75"